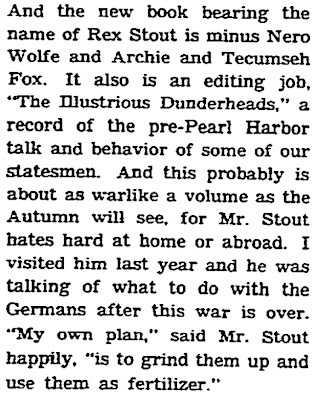 from "Speaking of Books," by R.v.G., New York Times, September 20, 1942. 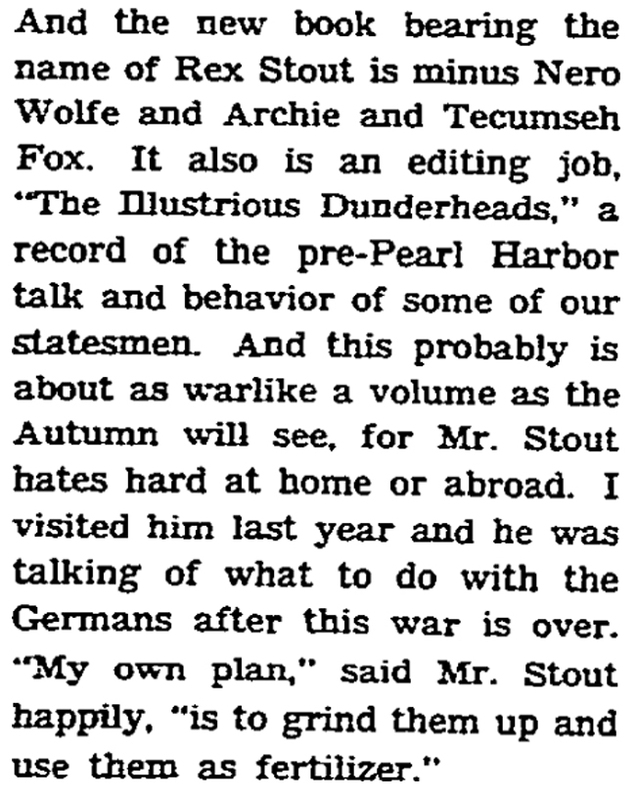 "I visited [Rex Stout] last year and he was talking about what to do with the Germans after the war is over. 'My own plan,' said Mr. Stout happily, 'is to grind them up and use them as fertilizer.'"